They are as durable as they are decorative, made from colored quartz aggregates permanently fused with premium epoxy resins. Available in 3 standard textures with 2 sizes of aggregate engineered to resists deterioration as well as withstand a verity of elements. 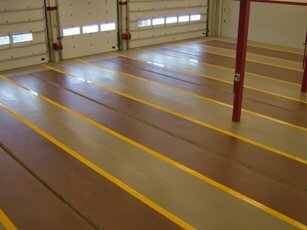 Bonds permanently to most types of sound substrates including concrete, quarry tile, brick pavers steel deck and plywood. Ideal for new construction as well as repair and restoration. 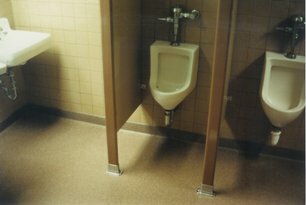 Time tested formulations provide great looking tough, anti-slip sanitary, surface. Broadcast and trowel applications methods. Many stock and custom colors can create the look you desire. Chose from solid or multi color patterns with a decorative look. Solid color chart can be viewed here in a PDF format; multi color chart can be viewed here in a PDF format. Custom art and graphics can be added to produce a unique look. 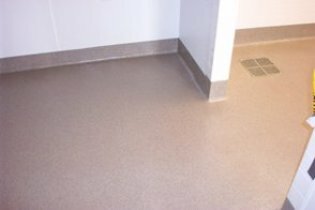 Easy to maintain nonporous floor surfaces that meet or exceed USDA, FDA, EPA and OSHA standards. 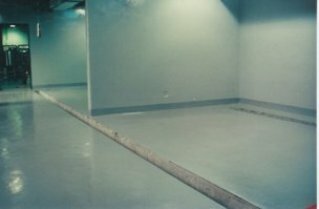 Integral cove creates seamless floors wall to wall. Resist thermal cycling from 32 F to 200 F without cracking. No open joints to harbor bacteria or dirt. Can be re-glazed to renew appearance. Available in BIO-PRUF broad spectrum antimicrobial formulas. 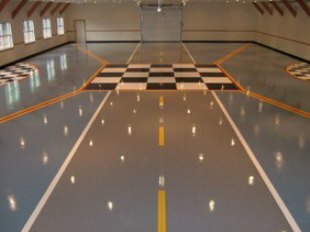 Quartz Flooring Technical Data and physical properties available here.